This is going to be a large quote of a post. I love the band Yello. So much so as to have all of their records on vinyl! 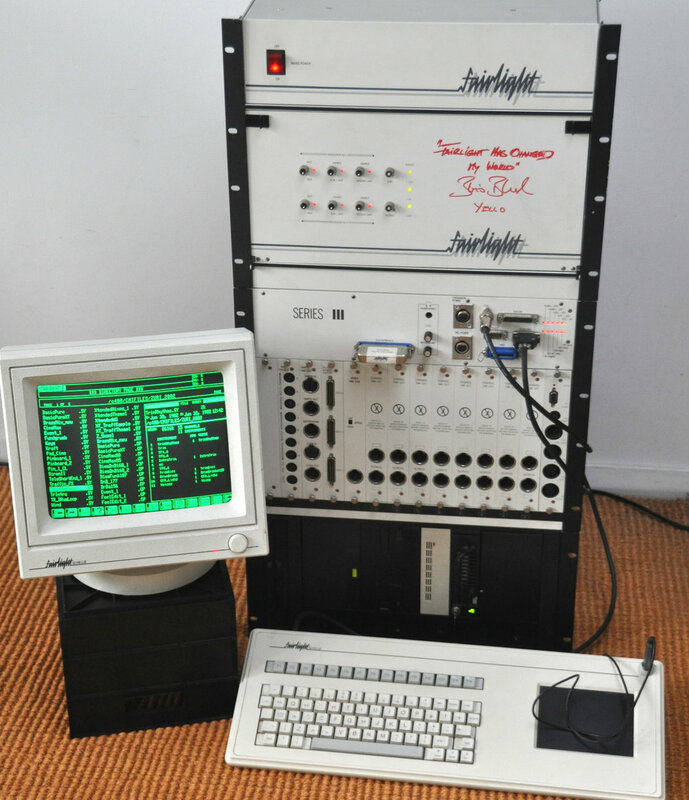 Apparently Boris Blank's Fairlight III is for sale. "Every Fairlight Computer Musical Instrument has a story behind it. Hugely expensive when new, their unique sounds and legendary user interface were used by music pioneers who changed the sound of music forever. The particular system being offered here belongs to Boris Blank, the musical part of Swiss band Yello. One could argue that during the 1980’s Yello used the Fairlight more, and more interestingly than virtually anyone else. Every hit single they had (and there were quite a few) used the Fairlight CMI extensively.. So, if you ever lusted after one of these legendary instruments, here’s a chance to acquire one with some serious street cred! Yello Fairlight III. Signed front panel. There will be Boris's sounds included, as well as all the libraries listed below, in 4 x hard drives. Boris is on holiday at the moment, however his assistant has promised some more photos and goodies when he returns! Offered for sale is a very rare, vintage classic Fairlight CMI III computer musical instrument workstation in excellent condition. The system is a late model, in three rack units which are 8U, 8U and 5U for the hard drive enclosure. It has the latest and best in technical innovations, whilst still retaining the classic legendary sound of the CMI. The system is switchable for 110, 220 or 240V so will work ANYWHERE in the world. The system has the latest 9.34 music software, has 16 voices, mono graphics card and monitor, and 24 output router. Instead of the usual 14 Mbytes RAM memory fitted as standard from the factory, this unit has a brand new 32 Mbyte card, which is the maximum possible in these systems. It also has a digital sampler module and a Turbo-SCSI card: It is therefore fully optioned with the last and best revisions of both hardware and software. There is no music keyboard, however any MIDI keyboard or external computer/sequencer will work brilliantly. I can supply a colour graphics card at additional cost if desired, to enable the system to run with many flat LCD screens. If required, the original mono graphics can be re-installed in minutes.. Complete Fairlight library, Prosonus Strings, Brass, Percussion, Sound Genesis strings, plus many libraries collected over the last 25 years dealing with top producers and musicians. These include libraries from: Pet Shop Boys, Trevor Horn, Hans Zimmer, Frankie goes to Hollywood, Art of Noise and many, many others. The complete Fairlight IIX library is also included. The floppy and WORM drive work intemittantly, however these were only used in the 1980's before more reliable and cost-effective storage emerged. Therefore there is no warranty on these parts. 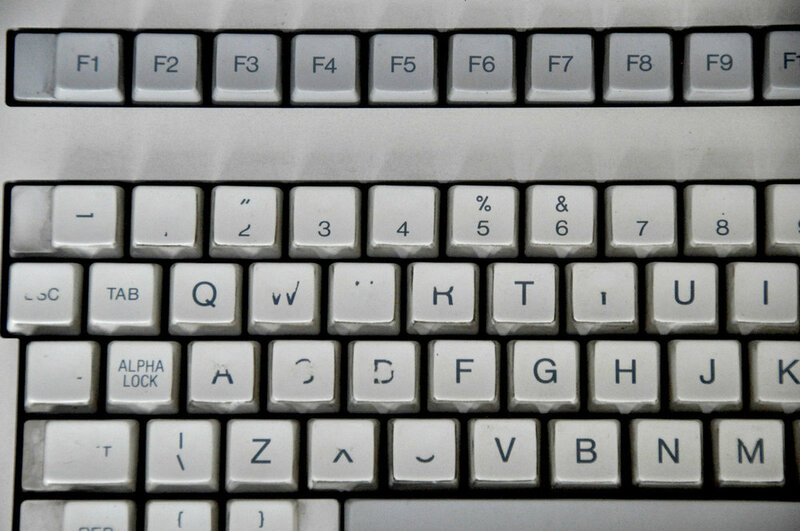 The only other points of note are that some of the keys on the alpha-numeric keyboard are beginning to lose their legends (see picture), and the graphics pad is worn in places. I have however adjusted the keyboard so that the worn spots on the pad doesn't cause problems. The system has been serviced, will have a full set of manuals on CD, all leads, latest firmware, and come with 3 months warranty (apart from the two drives mentioned above). Please note you’ll see other Fairlight systems advertised, and some might be less expensive. However, do some research before you buy. What may look like a bargain might not look so appealing when its obsolete parts finally give up. This applies specially to earlier systems. This system is complete, fully functional, and will work straight out of the box. I worked as product specialist and studio manager at Fairlight in Sydney during most of the 1980s, and have been involved in re-building Fairlight CMIs for over 25 years. I have sold and supported well over 45 of these classic samplers. If you are in any doubt, please type “Peter Wielk Fairlight” into the worlds favourite search engine and see what comes out. I have tried to describe this system as accurately as possible. However, please feel free to ask any questions, or if you’re passing through Sydney, you would be very welcome to have an extensive demonstration. 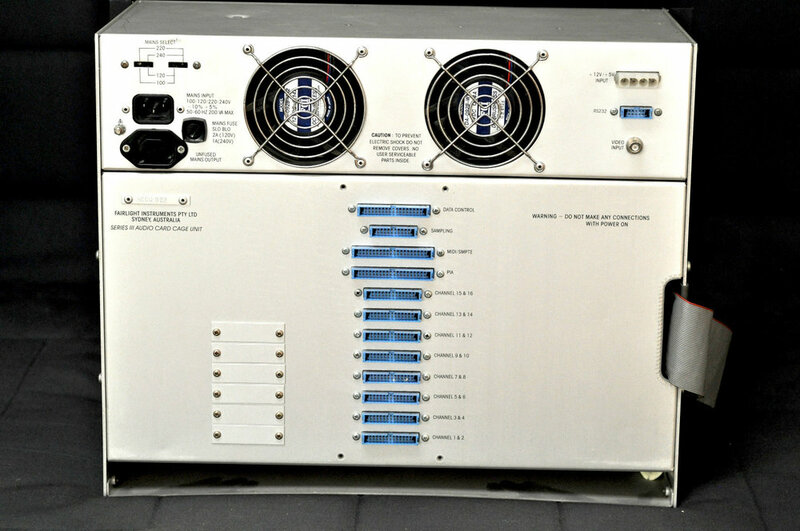 Lastly, these systems were designed and built with no compromises, reflected by their US$75,000 price tag when new. The sound is completely awesome. You might buy a sample CD of the Fairlight sounds, it will sound NOTHING like the real thing. Also, only about 200 systems were built, and they were sold to the most influental musicians and producers in the world. The sounds of the Fairlight CMI formed the soundtrack of the 1980s. So, if you’ve always lusted after one, here’s your chance to own a part of music history! Please note price is in Australian dollars, and excludes freight. I have an account with TNT couriers here in Sydney and ship many systems every year. I will ship for my cost. Please mail for more exact figures to your location. All shipments can be tracked through TNTs own site. IGNORE EBAYS SHIPPING PRICE CALCULATORS: THEY ARE WORSE THAN USELESS !!!!!!! There are many currency conversion sites online. Australian residents please add 10% GST. Lastly, due to the number of frauds and scams on ebay, please contact me if you have less than 10 positive transactions. I won't even consider shipping until funds have cleared this end, so please don't ask. I am sure any honest bidder will not resent this precaution. Horizontal Productions in sunny Sydney"